These did not work for us. Followed the instructions to a T. Baked as instructed to a max of eight minutes. They were raw in the centre. Baked and baked and baked in all 12 more minutes. Still seemed under done in centre and light brown all over. Cooled on racks. Put back in a 130f oven for 40 min and still soft in the centre. A bust. Delicious! They were a bit sweet though, if that's not your thing, or maybe use a little bit less sugar. 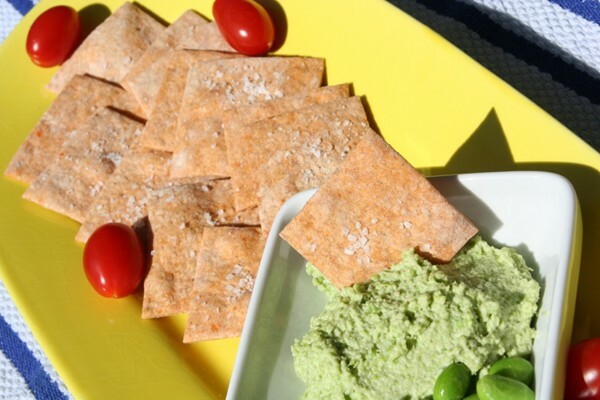 Very nice pizza "junk food" flavor for such a healthy cracker! I had to substitute chickpea flour, because all I had was gari. I don't think it matters what kind of flour you use, it worked just fine. Made to take to an impromptu beer tasting. Once the lentils are cooked the entire dip comes together in a few minutes. I doubled the harissa because I felt like it needed more kick. This is quite good and my husband plans to bring some for his work lunches. As the recipe states, this is easier and smoother than hummus. 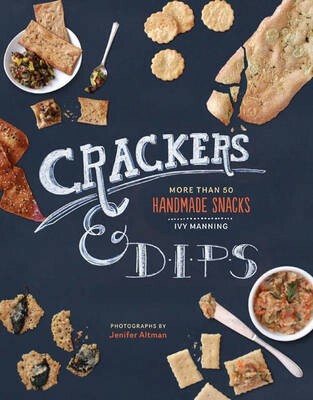 Ivy clearly thought outside the box by experimenting with alternative and whole grain flours and carefully choosing the ingredients in the dips, she has created a book that addresses everyone’s needs. 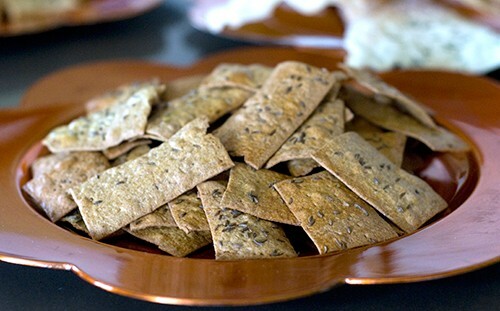 I was completely won over by her approach, as she points out that most crackers have plenty of questionable additives, and then proceeds to make your favorite flavors using whole, natural ingredients. If you're a fan of crispy, crunchy snacks, learn how to bake up the classics. 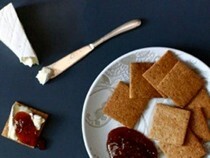 Prepare to experiment with some unusual flours and intriguing flavor combinations as well.